The 2018 football season is right around the corner. 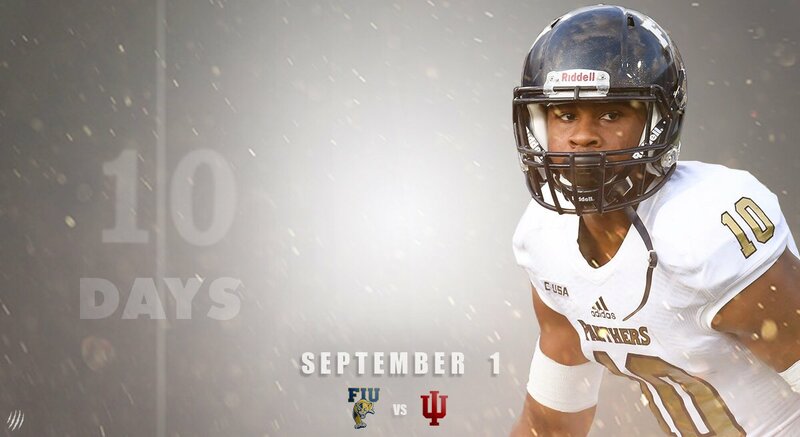 FIU kicks off its new season at home against the Indiana Hoosiers on Saturday, Sept., 1 at 7 p.m. Stadium gates will open at 5:30 p.m. Please see below for important updates for the 2018 FIU football season. 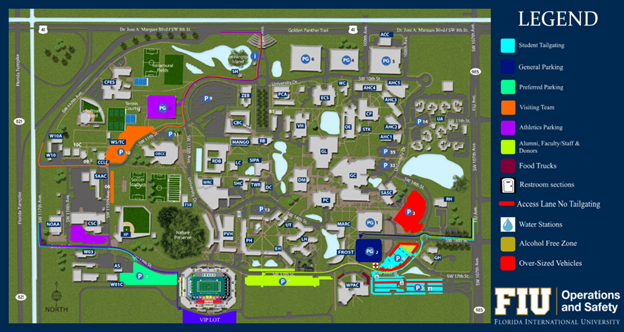 For guidelines and a campus tailgating map, please click here. This year, there will be larger student tailgating areas with water stations in Lots 4 and 5. Please see the map below for more information. There will also be an alcohol-free zone for students on the north section of Lot 4 with games, prizes, free food and giveaways. The student tailgating experience will have a different theme for each home game. New enhancements to FIU’s Riccardo Silva Stadium, include a new Student VIP Biscayne Bay themed area in the west end-zone deck and an Everglades themed area in the north concourse. Air-conditioned restrooms will be located in Lots 5 and 6. Reserve your designated group area. Groups of ten or more must register. Please click here. Attendees may bring their own tailgating tent. A 10 x 10 tent is encouraged. Tents larger than 120 square feet require a building permit. We have tent packages available as well. Please click here for more information. Game day packages – which include a 10 x 10 tent, table and four chairs – are also available for $35. To reserve, please visit fiu.edu/tailgating. Catering is available for all tailgating areas. Price start at $16 per person. Please visit fiu.edu/tailgating to place your order. There will be free game-day parking in the Blue Garage (PG 2). Please use the entrance on Southwest 107th Avenue and 16th Street to access the garage. Preferred parking is available in Lot 7. To reserve a space online, visit fiu.edu/tailgating. Preferred parking for all seven home games costs $70. Reserve online game-day parking for $15 per space or pay at the entrance on game day for $20 per space. Please use the entrance on Southwest 117th Avenue and 17th Street to access the lot.